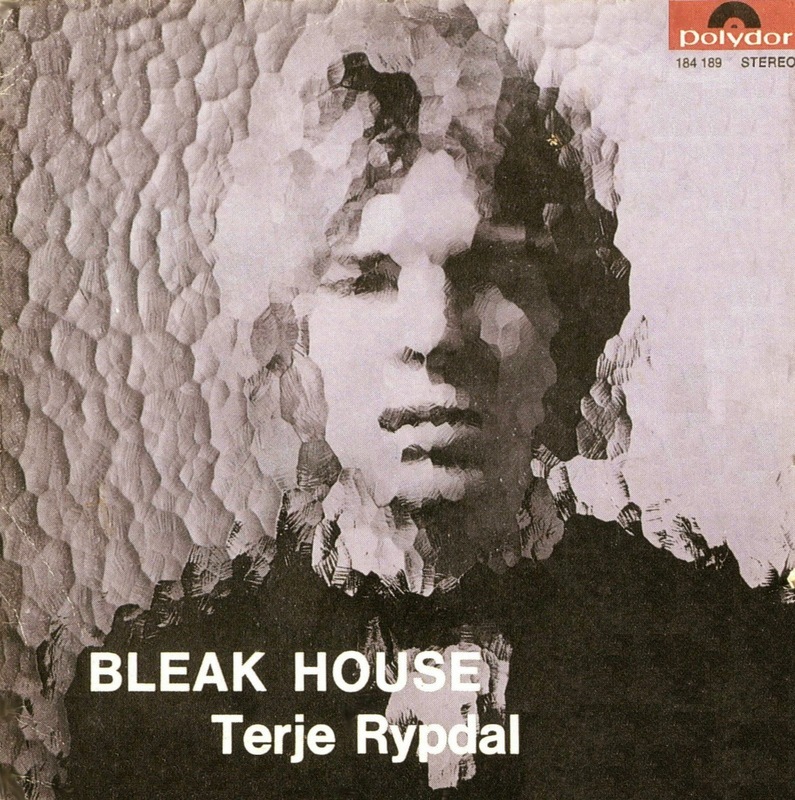 Those of you who know Rypdal's usual works will be in for quite surprise with this debut album, Bleak House released in early 69 on the Polydor label, and it is quite different to his later works with the ECM label. Indeed, this album's line-up is mostly made from local Norwegian musicians (although I detect a few Danish or German names), of which only Garbarek and Terje are the familiar names to an international crowd. You'll also find some excellent (and rather unusual for jazz) Hammond organ, some vocals, and a fairly large horn section, used somewhat sparingly. Rather strange when you know Terje's late-70's albums, right? The opening 7-mins Dead Man Tale is a mid-tempo blues loaded with Hammond's organ, Terje's lungs both belting out a soft vocal and an enchanting flute. He 4-mins Wes is more of a big band affair, with some massive horn section sounds, a Reinhardt-ian guitar and some enthralling rhythms. The three-parts Winter Serenade is in contrast a very different affair, so quiet in its Falling Snow movement, with only Terje's guitar and Reim's piano. When Garbarek and Neumann's saxophones enter the piece, chaos and mayhem appear, indeed hinting at the Snow Storm movement. The suite ends calmly as the Snow Melts gently with Reim's piano. Great stuff. On the flipside, the 7-mins title track is an absolutely amazing mid-tempo big band piece, starting gently with the horn section providing great answers to Rypdal wild but restrained electric guitar. It's not long before the horns take up the whole back space, before Terje's guitar goes for some heroics, never too strident, leaving some space for Garbrek's dramatic sax solo, and then taking football all the way down the rest of the track to the end zone for an amazing touchdown. Fantastic stuff, even if you wished some slight chord changes in the brass arrangements. The soft big-band Sonority is a slow-paced gentle track, where Rypdal's sleepy guitar weeps gently from you speakers. Closing the album, Terje scats gently A Feeling Of Harmony all alone, his acoustic guitar, his sole voice and his gentle flute.